The Pilon International web page was conceived as a gift to the Pilon family of the world to mark the end of the millenium. The idea behind it came from the great success that an earlier site, the unofficial site of the Association des Pilon d'Amérique, had enjoyed. In particular, we received e-mails from people well beyond the borders of Canada, who were descendants of Pilons and who wished to learn more about ancestral roots. Through our research as well, we came to realize that there are and have been Pilons not only in France and Canada, but also in the United States of America, Belgium, Switzerland, Germany, Italy, Mexico and even England. Whether we all have a common root or not will never be known. However, a premise for the creation of this site is that somehow we do share some kind of common ancestry. Accepting this premise opens our eyes and our minds to viewing our neighbours not as strangers, but as distant kin. It opens up our world and reveals our common humanity. 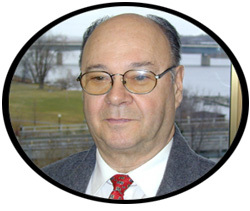 Robert M. Pilon was born and raised in the Ottawa area. He is now retired after a long carreer as a teacher and the Superintendent and Director of Education in School Boards of Northern Ontario. 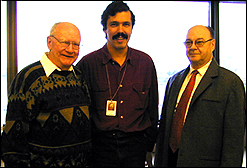 In 1991, he founded the Association des Pilon d'Amérique inc. which he successfully guided through many history-making achievements including the creation and adoption of the Association's constitution, the co-founding of the Association des Pilon de France et d'Europe and the Pilon Association of America, the Back to Roots visit by 50 Canadian Pilons to Bayeux, Normandy in 1994, and numerous family reunions and commemorations relating to Antoine Pilon, the French ancestor of most of the Pilons in North America. In 1998, he passed on the leadership of the Association to Yves Pilon, the current president. Jean-Luc Pilon is a professional archaeologist with the Canadian Museum of Civilization. He was born and raised in Vankleek Hill, Ontario, but his branch of the Pilon family is originally from the Amherstburg area near Windsor, Ontario. While he regularly deals with a past that is on the scale of centuries and millenia, he views it as a continuum. Today is simply tomorrow's past. Understanding how we arrived at where we are helps us appreciate the present and anticipate the future. Born in 1932, Jean Pilon devoted most of his life working in the wilderness of Canadian National Parks as Park Superintendent. He worked in La Mauricie, Québec; Yoho, British-Columbia; Waterton Lakes, Alberta; and Gatineau, Québec. Now retired, he spent a tour of duty as a member of the board of Directors of L'Association des Pilon d'Amérique and is an active volunteer at the Canadian Cancer Society. Since 1985, Jean has spent a great amount of time gathering genealogical information on the Pilon family name.